Walnut Ridge is the home of the Beatles sculpture located in Downtown Walnut Ridge , dubbed The British Invasion of the Rock n’ Roll Highway. The sculpture pays tribute to a visit from the legendary rock band to Walnut Ridge on September 18, 1964. The Beatles landed in a small plane at the Walnut Ridge Airport on their way to a weekend vacation to a dude ranch in southern Missouri. . The Beatles Abbey Road Sculpture is a 10 feet by 20 feet, 200 square foot sculpture of the iconic Abbey Road Album that was released by the Beatles in 1969, and was their last recorded album before the group dissolved. 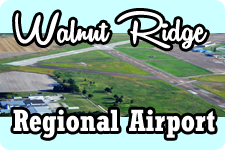 The sculpture, created by Danny West of Walnut Ridge, is a tribute to commemorate the Beatles historic stopover in Walnut Ridge Airport in September of 1964. Although the stop was a brief “In and Out” over a two day period, many Walnut Ridge teens caught a glimpse of the Fab Four before their Sunday morning departure, many of the kids sneaked out of Church services to attend. The visit was the only time the Beatles were in Arkansas, and the sculpture is on permanent display at 110 Abbey Road, (formerly 110 southwest 2nd street) in Beatles Park. 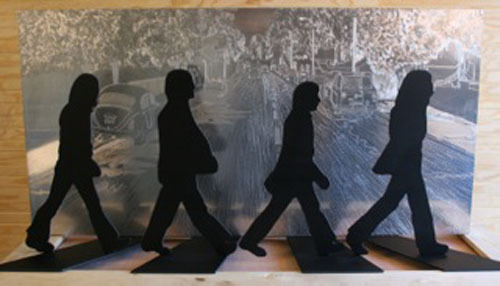 The sculpture features life-size silhouettes of The Beatles made from heavy carbon steel plate, and the backdrop of Abbey Road is hand ground on 1/4″ thick aircraft aluminum plates. The entire street scene is featured, along with more than 30 hidden references to Beatles song titles, and album names. There are also a few hidden surprises that were added in by the artist, that will are unique to our city, and tie the whole sculpture to our town. As lighting changes throughout the day, the hidden details in the sculpture reveal themselves to the observer, and at night, under the powerful lighting, the scene takes on a surreal quality, and more secrets can be seen. The sculpture has been featured in newspapers and publications around the world, including The Wall Street Journal, UK’s The Daily Mail, The Australian, The Huffington Post, and many others. We invite you to come see our newest attraction, and have your picture made walking with The Beatles on Abbey Road. Another local attraction is Guitar Walk, a 115 feet long and 40 feet wide, concrete walk shaped like a Epiphone guitar, the instrument of choice for many of the early rock performers. Guitar Walk is lined with historical displays which pay tribute to nine rock music pioneers who performed in northeast Arkansas. I am excited to hear the news about the sculpture of the Beatles and the electric guitar being put up for attracting tourist here in Walnut Ridge, Arkansas. I know the guitar is going to be nice addition to front street in Walnut Ridge, and this is just what my little nieces need, is the motivation from the sculptures and all the music artists that are also going to be displayed by the music store because they are growing up in dance classes learning about all types of music and dance. I am sure it will be a big hit. I am excited as well for the town of Walnut Ridge to have such a wonderful tribute to the Fab Four. Having been a huge fan of the Beatles since they first came to America. I am So Happy!! for Walnut Ridge for this tribute to the Beatles and also happy those 8 feet walked on your streets back in 1964. We enjoyed it so much! Yall do a great job with this site!!! Thanks for having us! Are you aware that the Bill Black Combo was the warm up band on that trip and landed in W.R. with the Beatles. 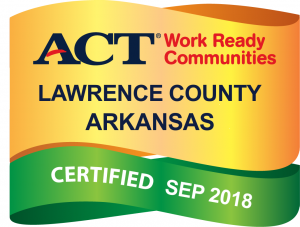 The combo was made up of 4 former students at AR. I was a fraternity brother and friend of the guys and heard many stories of thier time with the Beatles tour and the stopover a W.R. Bob Tucker, Bil English, Dan Reins and Freddy Crook had taken over the combo name after Black died. They were all Arkansas boys and students at Ark State Univ. Fell in love with the Beatles at age 8 when I saw them on Sullivan. Well now at age 58 I know I will never get to see Abbey Road in person.. This is wonderful! I love Arkansas. Love the Beatles. I am planing on at least making a day trip and hopefully making it to Beatles at the Ridge in September. Whoever did this I would like to say heart felt THANK YOU !